We recently got to know that Team Cyanogen was spotted in MWC 2015 with a Yureka running Android Lollipop! And now the air heats up as YU Yureka phone that currently runs on Cyanogen 11 OS will soon get the much awaited Android 5.0 Lollipop update. Yureka users will be finally able to taste the official Lollipop update on their device by the end of this month – in all likelyhood if things go right! @YUplaygod the official twitter profile for YU just tweeted ‘Coming soon’, with a puzzle (see below). On connecting the numbered dots in a sequential order, a Lollipop turns out which certainly clears the doubt. As you can see, the last dot has a 26 numerical which apparently confirms that Lollipop update is coming to Yureka on 26th March. This is indeed a great news for all the Yureka users in India who’re eagerly waiting for Lollipop since a while. 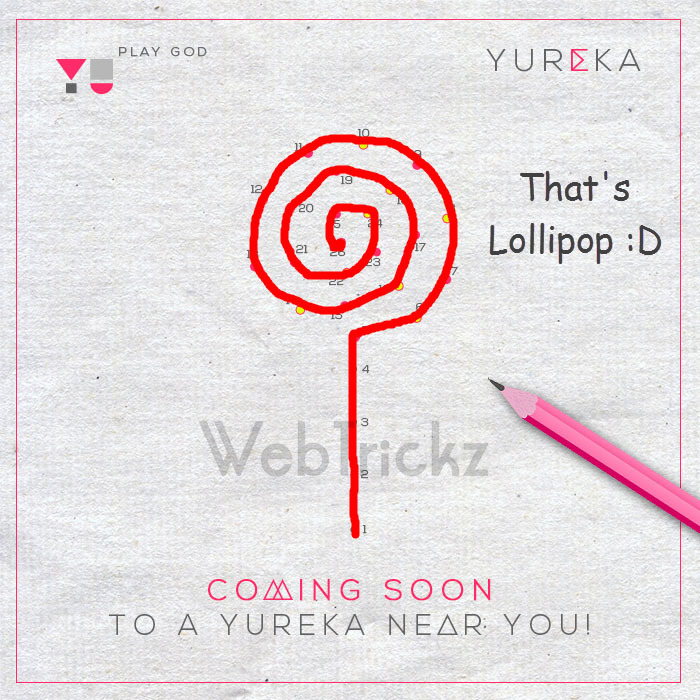 Puzzle solved by us, It’s Lollipop for Yureka!